When a patron of the arts named Serge loans him a luxurious penthouse apartment in central Paris, Howard cant believe his luck. Now he can live cheaply while he translates articles for shortlived websites and doomed art journals nobody reads. And hell have more time to devote to his inscrutable French girlfriend, Delphine, a trainee lawyer.Then, disaster strikes, in the shape of Eugene, Howards half-brother and personal nemesis, who sows chaos and discord wherever he goes. Abruptly, Howards uneventful life is plunged into mystery and farce. People are suddenly not what they seemed, and danger lurks in every restaurant. 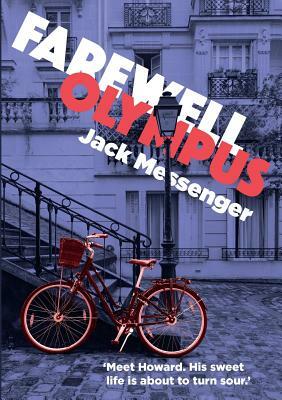 Serge himself is implicated in wrongdoing, while Giles, an Englishman abroad and seldom sober, knows more than hes prepared to tell.Farewell Olympus is about love and rivalry, ambition and morality, Armageddon and the quest for the perfect croissant. Witty, intelligent and entertaining, it will make you feel you are too, even if you have no experience of volleyball.